Coming September 25, 2016. 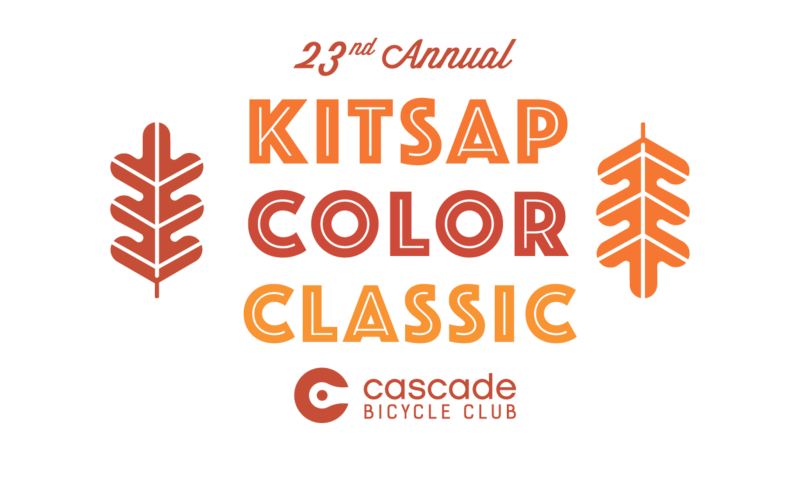 It’s Cascade Bicycle Club’s last organized ride of the season…the Kitsap Color Classic! Enjoy fall foliage galore as you ride along the Kitsap Peninsula in Washington State. Choose from 3 courses: 25 miles starting at the Kingston Ferry up to Hansville (1,703 feet of climbing); 37 miles taking you along the Hood Canal and Liberty Bay (2,658 feet of climbing); and 57 miles that combines the two routes (3,844 feet of climbing). Roads will be open to vehicle traffic but the routes will be well marked and you’ll be provided with a map at the starting line. Registration fee includes bib number, two food stops, route map, and emergency services and supports local bicycle education and advocacy programs. Kick off fall with some two-wheeled fun!